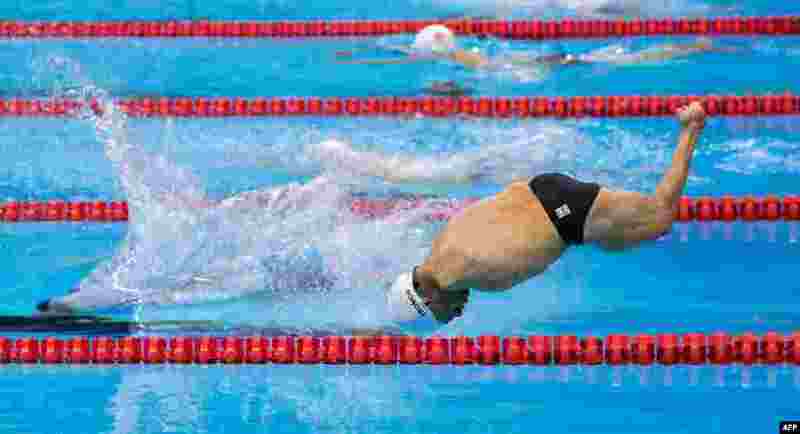 5 Cristopher Tronco of Mexico enters the water at the start of the men's 50m breaststroke - SB2 final at the Olympic Aquatics Stadium during the Paralympic Games in Rio de Janeiro, Brazil, Sept. 14, 2016. 6 Models clad in costumes of video game characters pose at a game booth during the Tokyo Game Show 2016 in Chiba, suburb of Tokyo, Japan. 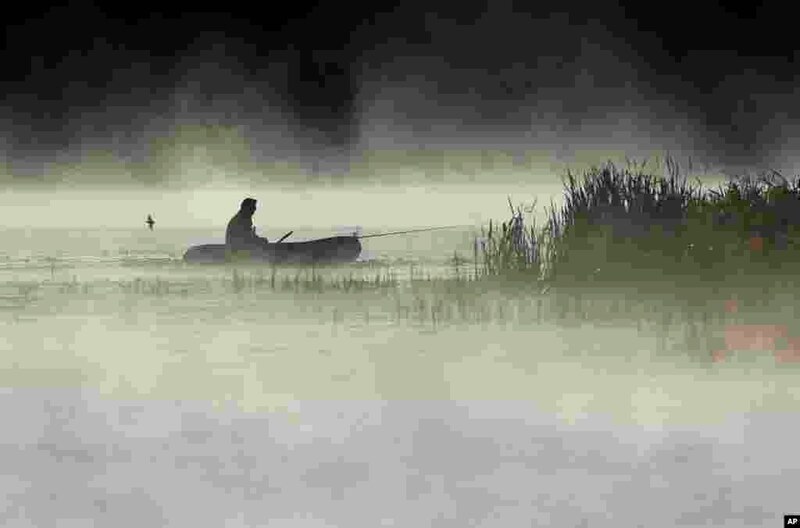 7 A man fishes from his boat as fog rises over the lake in the town of Logoisk, 40 kms. (25 miles) north of Minsk, Belarus. 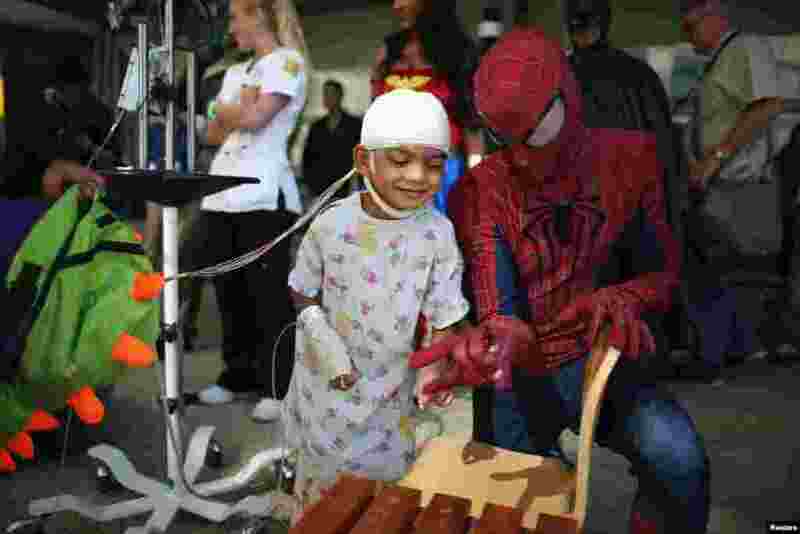 8 Mattel Children's Hospital UCLA patient Gael Martin, 5, (L) meets a window washer dressed as Spider-Man in Los Angeles, California, Sept. 14, 2016.